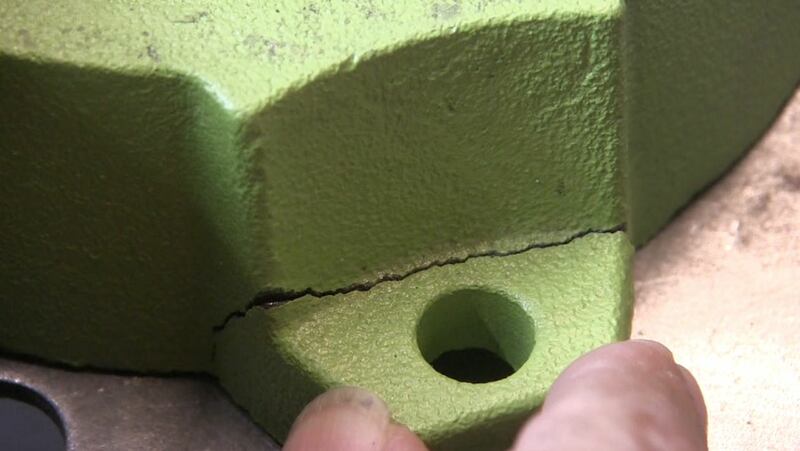 This video shows a simple repair on a cast iron vise. its easier to build up weld metal than to re attach the broken lug. In this repair, the lug also had several cracks so I think it was smart to just replace the whole mounting ear with weld metal. 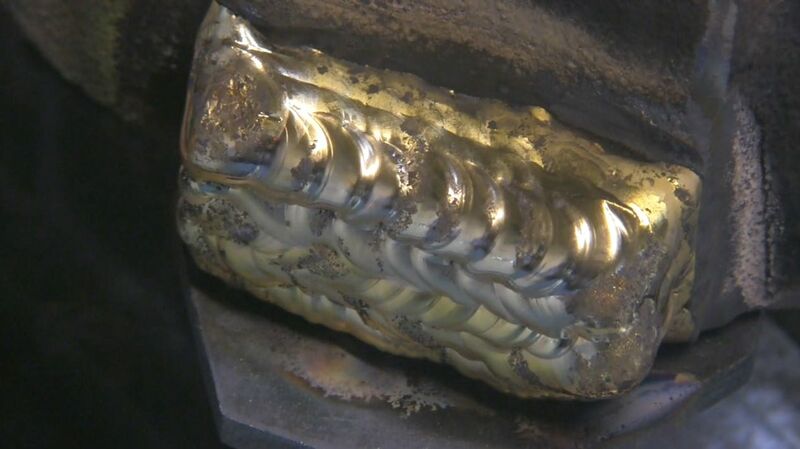 why not tig weld cast iron using nickel filler? The reason nickel filler is used a lot on cast iron weld repairs is because nickel can tolerate a lot of carbon without becoming hard. But nickel rods are very expensive and the shrinkage stress from nickel rods seems much greater than aluminum bronze filler metal. I have had better results on a lot of cast iron repairs using aluminum bronze. Why aluminum bronze and not silicon bronze for tig welding cast iron? Aluminum bronze is stronger than silicon bronze and when Alternating current is used, flows and wets out better. Tig welding cast iron using DC can be dirty and the cleaning action from alternating current helps maintain a clean puddle. and a clean puddle requires less amperage to move it along. With AC, very little mixing of the cast iron occurs in the weld bead. It is truly a tig brazing operation where braze alloy only bonds to the surface of the base metal...but does not penetrate much at all. and that can be a really good thing with all the carbon and impurities that are in cast irons. Preheat really helps slow the cooling rate and that usually helps as much or more than any other one thing for cast iron repairs. But I only preheated to around 300f for this repair. Typically, for welding I would prefer a preheat of 500-600f. 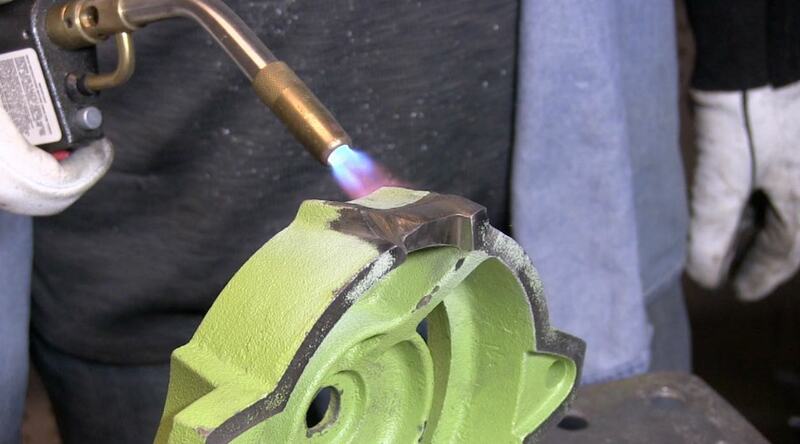 But for this type of tig braze repair where multiple beads are used, there can be a beneficial tempering effect on every layer that helps to temper any hard and brittle area created by the first layer of beads. It is always a good idea to cool a cast iron part as slowly as possible in order to prevent cracking. But it depends on the nature of the repair. For this build up repair using aluminum bronze, I didnt do anything special. I just let the part cool naturally.